For at least five centuries scholars have puzzled over a document known as The Papal Prophecies that were ascribed to St Malachy, an Irish cleric who died in 1148. The Prophecies clearly state that both Rome and the Papacy will be destroyed at some date in the early 21st century. 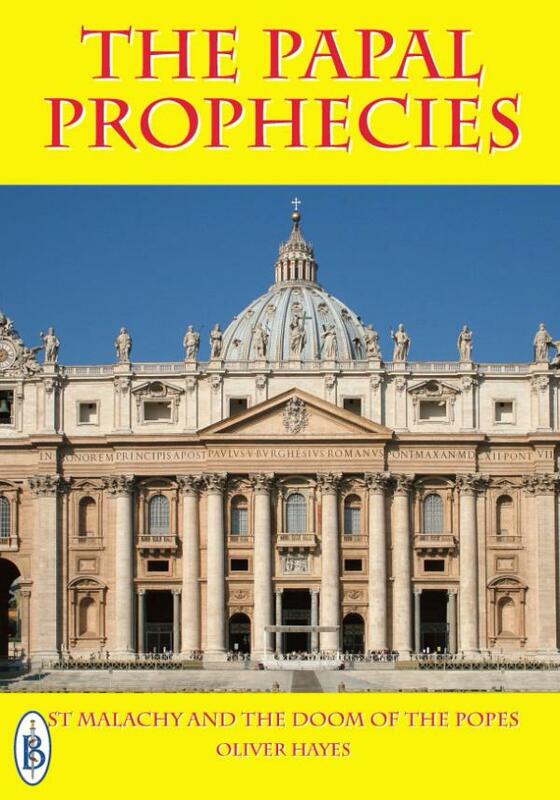 Given that this date is now upon us, it is worth taking a closer look at the Papal Prophecies to decide what it is that they mean, what they can tell us and what - if anything - can be done about them. In this book, historian Oliver Hayes takes a fresh look at the centuries’ old mystery of the Papal Prophecies. He examines the Prophecies in detail, and investigates the circumstances around them. His conclusions are novel, startling and back by solid research.